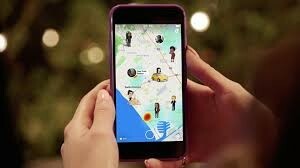 Last week the very popular social media App Snapchat added a new tool. Users can now access ‘SnapMap’ in order to see where all their connected contacts are. The locator map is accurate to within a few metres. This is extremely concerning if your child uses Snapchat and does not have a secure account with only known friends as contacts. USERS HAVE TO OPT OUT of this tool in order to not be visible to others. Your child’s location can be seen by all their contacts unless they have actively switched on the ‘Ghost Mode’, which de-activates their location on the map. Please take the time to discuss with your child to ensure that they understand the implications of this.